Crowdfunding has been gaining popularity over the recent years and is now one of the best ways to raise capital for businesses in Singapore, as well as in other countries. It has existed since many years ago and a good example of crowdfunding would be in the 1730s, where the community saved the Bank of England. The people supported the currency until confidence in pound was regained. A more current example of crowdfunding would be SkyBell. The founders of SkyBell wanted to develop a tool where users could answer the door with their smartphones. Through crowdfunding websites such as Indiegogo, they managed to raise $600,000 to support their business idea which propelled the company to what it is today. Perhaps you are interested in starting your own business, perhaps you are looking for ways to raise capital, or perhaps you are simply curious about crowdfunding and investments. Well, read on because here is what you need to know about crowdfunding, as well as the best crowdfunding platforms for investors. 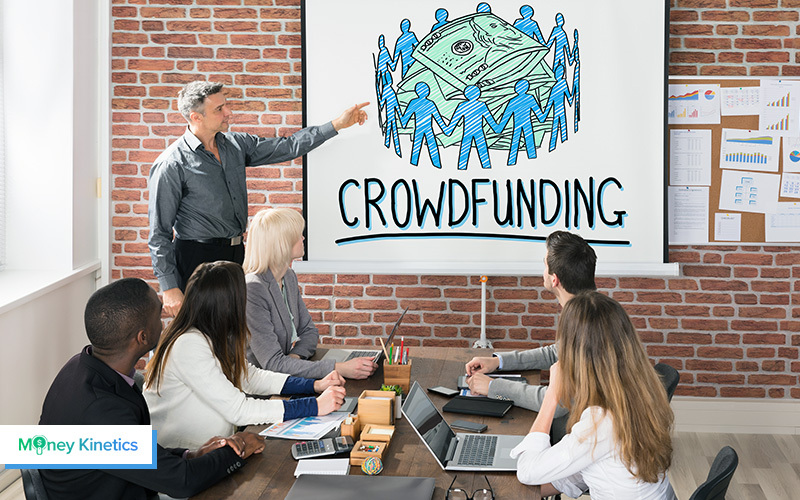 Crowdfunding, as the name suggests, is an activity that involves raising small amounts of money from a large number of people with the aim of financing a new business or supporting any other cause. As a way of raising capital, crowdfunding takes advantage of the fact that it is possible to reach many people (hence the term crowd) via social media as well as crowdfunding websites. These internet-based networks enable many people with shared ideas to come together and make their contributions towards a given business venture. Crowdfunding thus stands out as an important way of raising capital outside the conventional methods of getting capital, such as a person’s personal savings, reliance on venture capitalists, or borrowing from banks, friends and relatives. It provides more options for people to fulfil their dreams and goals. For certain businesses such as startups, they may find it harder to secure a business loan from banks due to their young history and company size. Crowdfunding becomes another way for businesses to gather funds. Donation Crowdfunding – In donation crowdfunding, individuals and interested parties are not expecting anything in return. This means if they are funding for businesses, they are not expecting discounts or products. Commonly used for charities, these investors are usually only interested in helping worthy causes while not expecting any rewards. Reward Crowdfunding – If one is an investor and is looking for rewards and profits, then donation crowdfunding would not be an option for them. There are not many opportunities. Reward crowdfunding is similar to donation crowdfunding, just that there will be non-monetary rewards in exchange. For example, investors may receive mugs or keychains in return for their contributions. This makes investors feel a part of the project that they want to support. Debt Crowdfunding – This form of crowdfunding is similar to bond investments. Investors or moneylenders will lend a sum to borrowers or companies for their business funding. The borrowers will have to pay back the loaned sum with interest to the lenders at a stipulated date. Usually, the repayments will only start a few months later and that the payments could be based on a fixed percentage cut from their business revenue. This method funding is good for startups because they usually face cash constraints at the beginning of their business. Equity Crowdfunding – When participating in equity crowdfunding, investors are given a stake in the companies when they offer capital and funds. The concept is similar to investing in the stock market except that the companies are private or smaller companies. Investors will be able to profit from the dividends should the share value increases over time. At the core of crowdfunding is the concept of raising funds from a ‘crowd’. The ‘crowd’ in this case is the large number people that can be reached via online platforms such as social media and crowdfunding websites. This means that it is pretty much limitless, because you can reach anyone, anywhere. Notably, crowdfunding platforms provide an avenue for people to pitch their ideas to potential investors who are looking for dependable investment ideas. In order to reach out to as many people as possible, crowdfunding platforms make use of the power of social media. 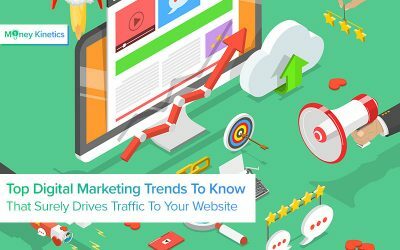 Through the many networks that people have on social media (such as Facebook, Twitter and YouTube), it is possible to reach and attract a very large ‘crowd’ to support a given cause. Likewise, with these platforms, everyone is able to participate as an investor or support a program that they believe in. With many people making their contributions, the large quantity makes it possible to raise a significant amount of capital from the small amount that each member contributes. This is helpful especially for startups as each small contribution counts. Crowdfunding sites earn revenue from a fraction of the total amount that is raised for any cause. In Singapore, crowdfunding platforms are licensed and are regulated by the Monetary Authority of Singapore. People are interested in crowdfunding because the concept makes it possible for businesses, especially small firms, to raise capital more quickly compared to other ways of raising funds. Other methods of fundraising could be borrowing capital from banks, but these usually take a longer processing time and does not guarantee an approval. Banks may find it riskier to approve of loans to smaller and younger companies with lesser experience and infrastructure. Also, people like to take part in crowdfunding campaigns that are related to services, products and causes that are deemed to be worthwhile. It could be an idea that could significantly make someone’s life better or bring convenience to their daily routine. One good example would be Tile, a company that designed small convenient trackers to help users find their things easily. They were inspired to create the product because one of the common problems many people face is losing their things. Misplacing their house keys, their car keys, their wallets or iPads and more. There was a problem, and Tile decided to create a product that solves it. Therefore, if an entrepreneur pitches an idea well through a crowdfunding platform, they are likely to get the support that they need quickly. Crowdfunding helps entrepreneurs brainstorm and refine their ideas and also provides them the opportunity to market their ideas to a wider audience. When an idea is accepted and supported quickly, the idea’s owner is able to accomplish the desired cause and enter the market to bring forth an innovative product. How can crowdfunding help people in their careers and businesses? Crowdfunding can help people to raise funds to improve their careers and businesses. For example, students and working adults who would like to attend career-related seminars and conferences but don’t have adequate funds to cater for their registration, travel and accommodation expenses can raise funds through crowdfunding platforms. 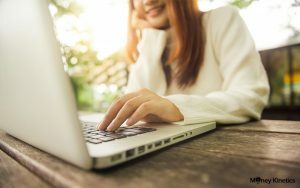 Aside from business ventures, there are also many crowdfunding sites that help people to raise funds to support their college education and accommodation expenses. For instance, Indiegogo, which is a global crowdfunding platform, allows people to donate for charity initiatives. Thus, people who aspire to advance their careers through further studies can raise money for education through Indiegogo. With regards to businesses, crowdfunding sites help people to not only develop their business ideas, but also expand existing businesses. 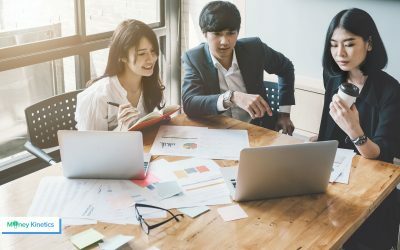 In Singapore in particular, crowdfunding has emerged as a popular mean for businessmen to accumulate capital and expand their business ventures. For example, FundingSocieties.com enables small and medium-sized enterprises (SMEs) in Singapore and other countries in Southeast Asia to raise funds for their development. Funding Societies: Funding Societies is the best choice for an investor who is looking for a crowdfunding site with the best track record in performance. 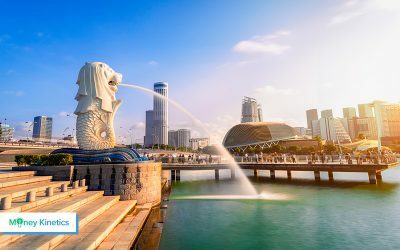 Notably, this platform has a very low default rate (1.3 percent), which almost matches the default rates of premier commercial banks in Singapore. Funding Societies also has the best asset quality and has sealed the highest number of deals in Singapore compared to other peer to peer crowdfunding platforms. Funding Societies is also highly competitive compared to other crowdfunding sites. KapitalBoost: KapitalBoost is the best choice for an investor who needs the best zero-fee crowdfunding KapitalBoost provides an opportunity for investors to put their investments in SMEs and get high returns, while avoiding investor fees. KapitalBoost also has one of the lowest minimum investment requirements vis-à-vis other platforms. MoolahSense: For investors looking for the best long-run crowdfunding platform, MoolahSense is the perfect choice. MoolahSense is particularly well-suited for investors who are interested in putting their investment in SMEs while at the same time avoiding high fees and huge minimum outlay requirements. MoolahSense makes a lot of sense because of its small charge of 1 percent investor fee on all incoming repayments. The platform also has a very low fee for long-term investments, even outdoing Funding Societies in this regard. FundedHere: Investors who need to invest in a crowdfunding website that promises the best startup equity financing should consider working with FundedHere. FundedHere enables investors to put their investments in startups that are in their formative stages. With FundedHere, investors can also invest their resources in buying the shares of firms that are publicly listed. With as little as 5,000 USD, investors get an opportunity to buy equity in startups. FundedHere also obligates early-stage businesses to meet certain income and operating requirements, which reassures investors with regard to the investment decisions that they make. Fundnel: Investors who are looking for a crowdfunding website that guarantees the best late-stage equity investment opportunities can count on Fundnel. This crowdfunding platform makes it possible for investors to put their resources in a curated portfolio of startups, whether the startups are at the early stage, or the late stage. The methods by which investors can make their investments using Fundnel include convertible bonds, equity, debt/bond structure or sharing of revenue. Fundnel requires startups that need financing to go through a rigorous application process such that only 10 percent of the applications go through, and only 3 percent of the total number of applicants actually get financing. Investacrowd: Investors who seek to work with a crowdfunding platform that offers the best terms in real estate financing need to look no further than Investacrowd. Research has shown that Investacrowd is the only crowdfunding site in Singapore that offers access to both long-term and short-term debt and equity financing for real estate businesses at competitive rates. Investacrowd also offers investment opportunities in the real estate industry in advanced markets such as Singapore, the United States, Australia, the United Kingdom and Hong Kong.